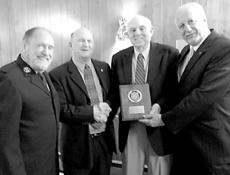 The Harrison County Service Unit of the Salvation Army observed the second annual Clarence Horn Humanitarian Award Program on Jan. 31 at the Cynthiana Country Club. The honoree was Billy Grayson. He was nominated for this award because of his work at Battle Grove Cemetery and his service as a city commissioner. Ed Herrington led the Pledge of Allegiance. Ray Dalrymple, Service Extension Director, serving the Kentucky-Tennessee Division of the Salvation Army, gave the invocation. 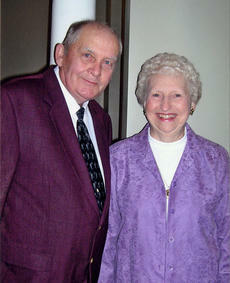 William ‘Billy’ Harlan Wiggins and Wilma Jean McKenney were married on Feb. 5, 1962 at the home of the Rev. Henry Walters, Pastor of Pleasant Green Baptist Church, Harrison County. They have two children, Angela Harlene (Richard) Kendall and William ‘Billy’ McKenney (Renee) Wiggins, and four grandchildren, Mary Catherine and Emily Renee Kendall, Ryan Brady and Anna Kate Wiggins. •Heart disease is the number one killer of American women. •One in three women dies from heart disease. •About three million American women have had a heart attack. Births announced this week are: Victoria Renell Gasser, Dec. 28, daughter of Margo and Danny Gasser; Dalton Luke Pergram, Nov. 28, son of Mark and Michelle Pergram. Now open, Gibson Heating and Cooling. Services include air conditioner, Geothermal, gas furnaces, humidifiers and more. Breds wrestlers destroy competition at Thorobred Classic on the Hilltop with a 73-6 forfeit against the Western Hills Wolverines, defeated East Carter 54-20, Pike County Central called and the Breds answered with a 51-24 defeat, and took the title. 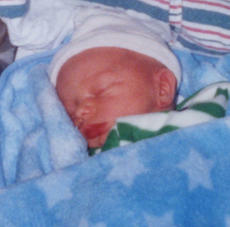 Jacob Tyrone’ Dixon Jr. was born to Jacob and Carolina Dixon of Cynthiana on Jan. 11, 2012 at Harrison Memorial Hospital. He weighed 6 lbs. 2 oz., and is welcomed by his brothers, Nickalye Honeycutt and Dakota Strong, and sisters, Chole Hensley and Isabella Strong. Maternal grandparents are Joyce Honeycutt of Louisville, Ky. and Allen Honeycutt Sr. of Cynthiana; maternal great-grandmother is Mary Northcutt. The New Millennium Homemakers had a good year in 2011. The club has 21 members. Members helped with most of the activities needing club involvement including: The Harrison County Fair; sent a package to serviceman Christian Cain for Christmas; hosted the annual Christmas party for Shady Lawn residents, furnishing them with pastry, juice, fruit and gift bags, and also sang Christmas carols.